Can you believe it’s only 16 days until Christmas? 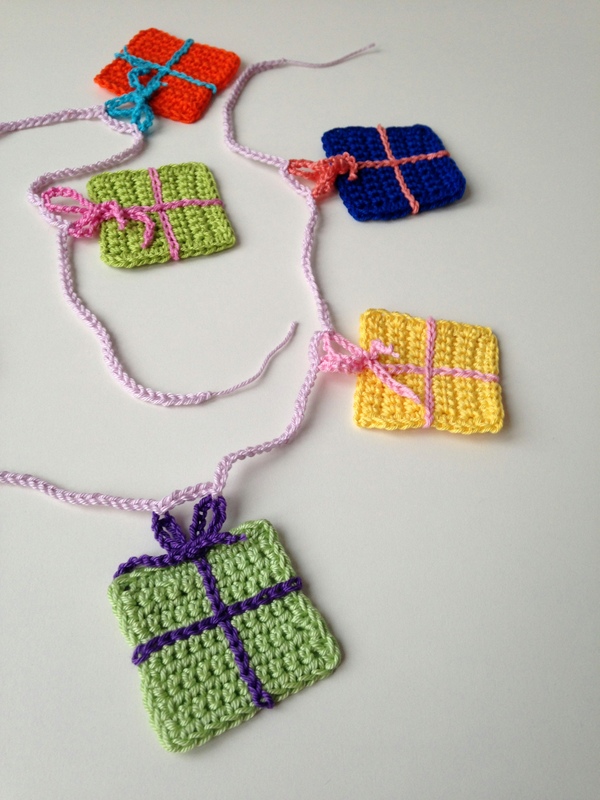 Are you as frantically crocheting, crafting, decorating, and planning as I am? And having a good time while doing that? 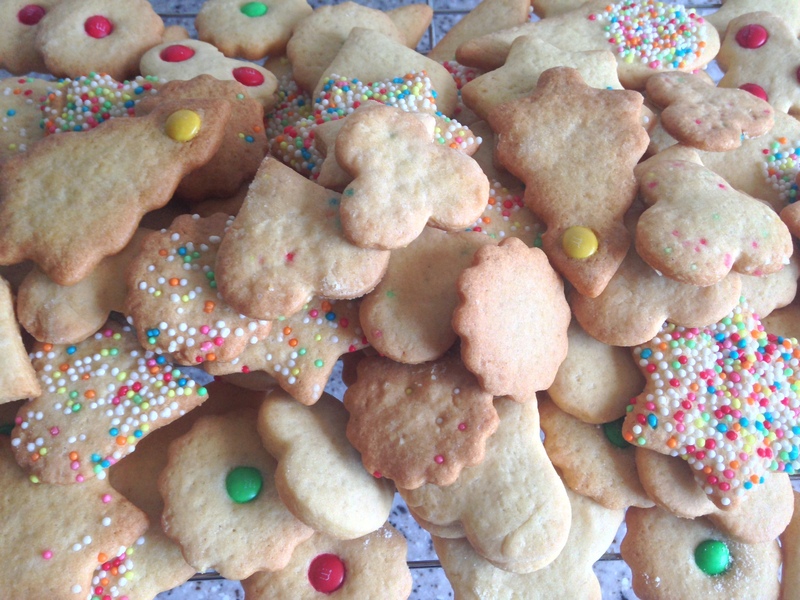 My only pet peeve around this time of year is that I can’t show as freely what I’m working on as I would like to – you see, even my sweet 84-year old mother is on Facebook these days. 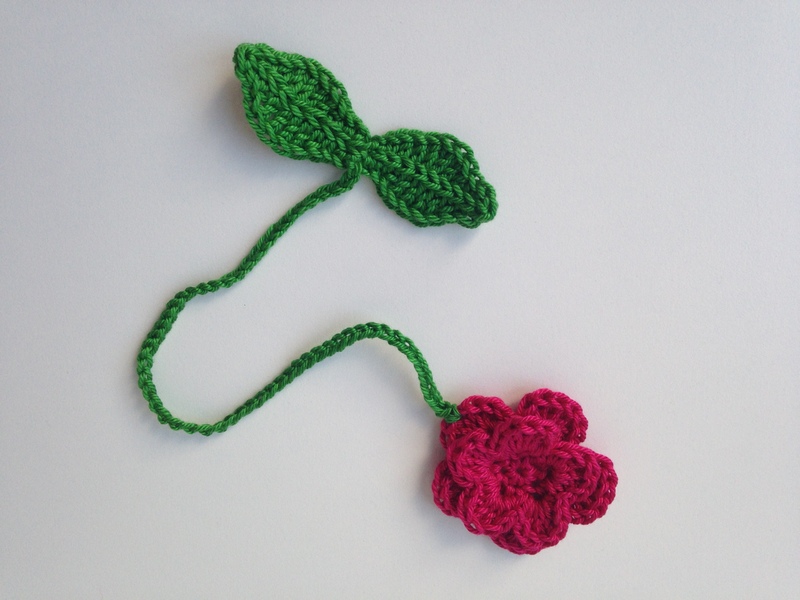 Definitely don’t want to spill the beans ……which is the reason why it’s a little quiet on the blog these days. 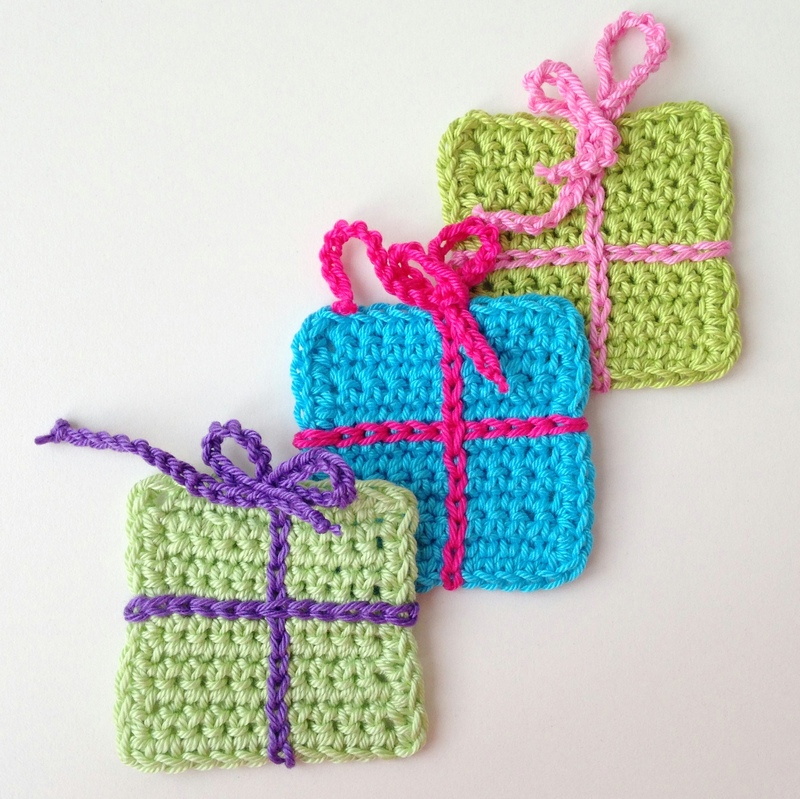 I promise I’ll make up for that right after all x-mas gifts have been received, which in our case will not be before December 28th, since we’re having the annual Christmas Brunch with our extended families no sooner than Sunday December 27th…..
How about some more seasonal crochet in this week’s “Treasury Tuesday” to get you in the right frame of Christmas mind even a bit more? 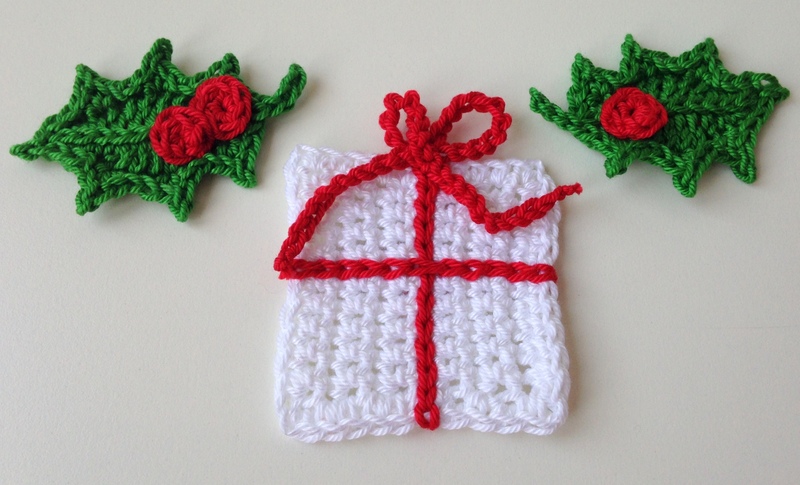 I think the cushion’s very christmassy & cute, and so is the Santa Clause party decoration! 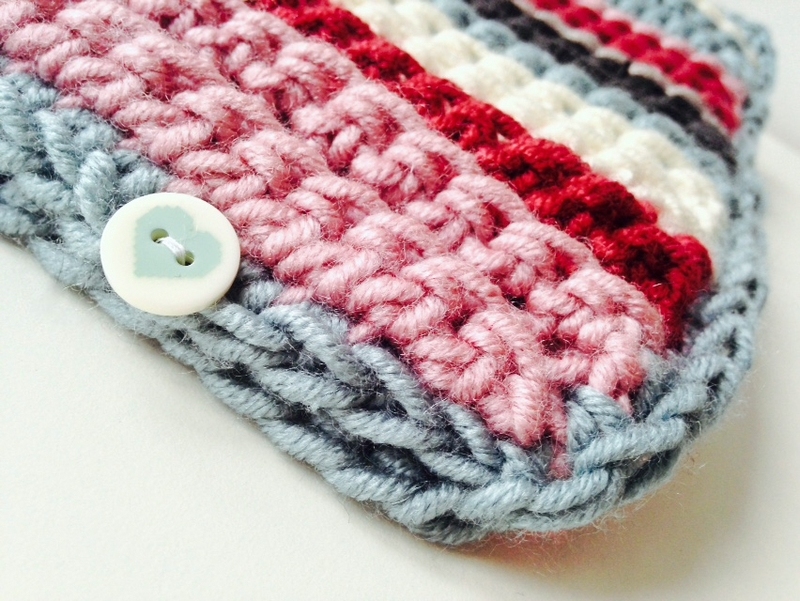 Oh, and how about this adorable tea cosy ……. Sinterklaas and his Piet-helpers arrived safely in The Netherlands this past Saturday. A reason for lots and lots of Dutch kids to be very happy (and a fair amount of adults too, I’m sure)! You know, Sinterklaas is Santa Clause’s big brother, and he celebrates his birthday by giving presents to others on December 5th. Now …. 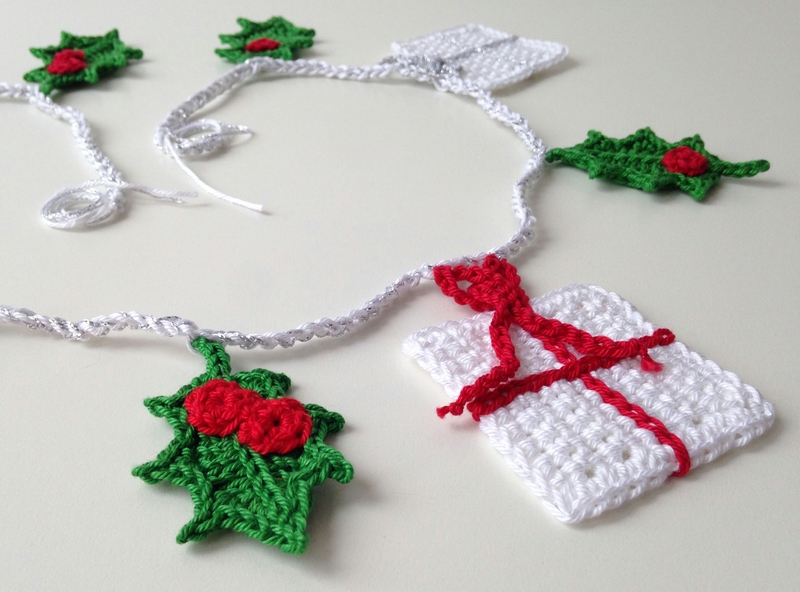 how’s that for a true x-massy gift-giving spirit? With all celebrations regarding Sinterklaas’ birthday going on at the end of November/beginning of December, it usually takes Dutch people a little longer to get into the fun stuff related to X-mas, but as soon as Sint and his Pieten leave the country and return to their sunny home in Madrid, we go all out on X-mas as well…. just like the rest of the world ;). 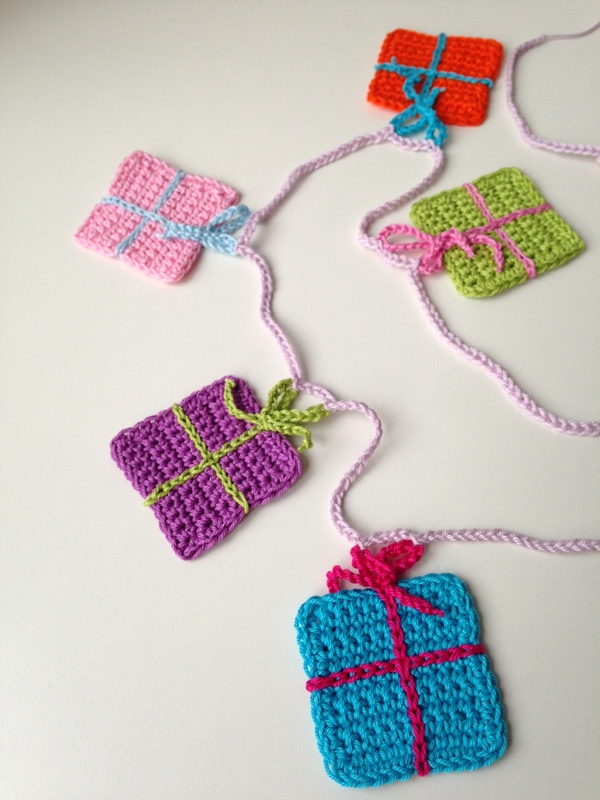 My love for Sinterklaas ánd X-mas made me create two treasuries on this “Treasury Tuesday”…..
One is Sinterklaas-themed and the second treasury is loaded with inspiring Christmas-crochet! 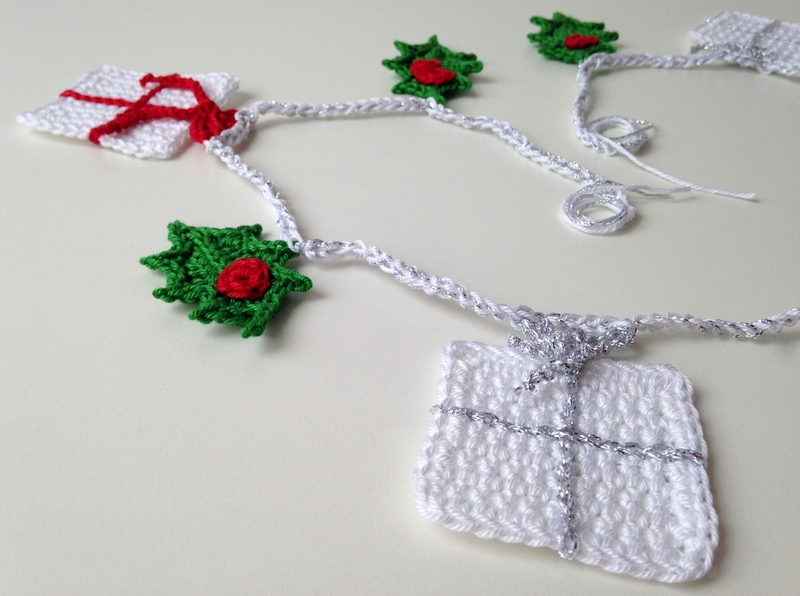 While it is lightly snowing outside, I’m comfy and warm inside typing this after-Christmas blog post. 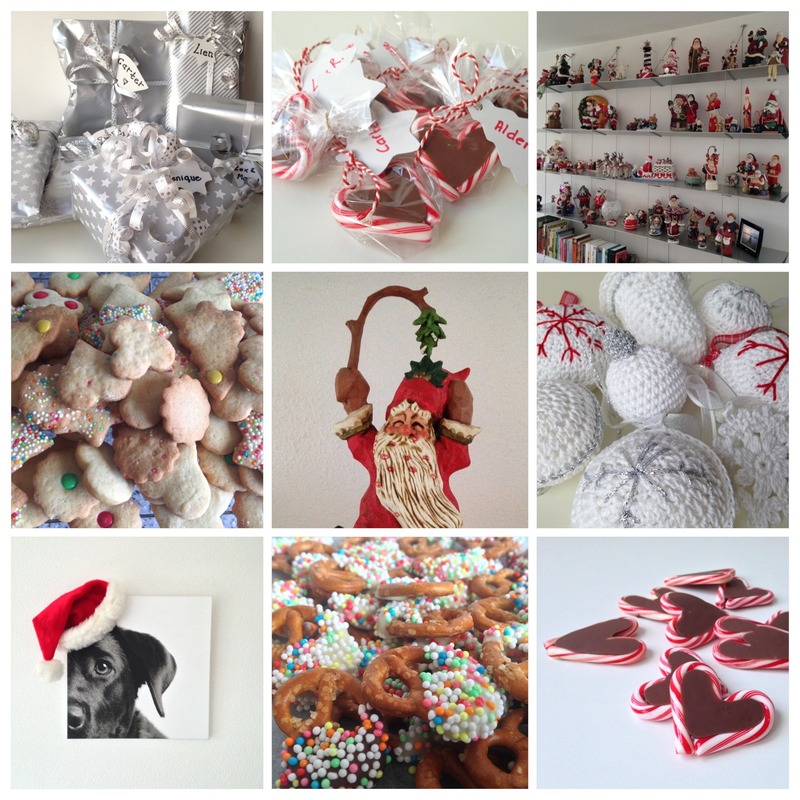 To me this holiday it was all about home and/or handmade and I loved every minute of the process, from deciding what to make for whom as well as the making itself. 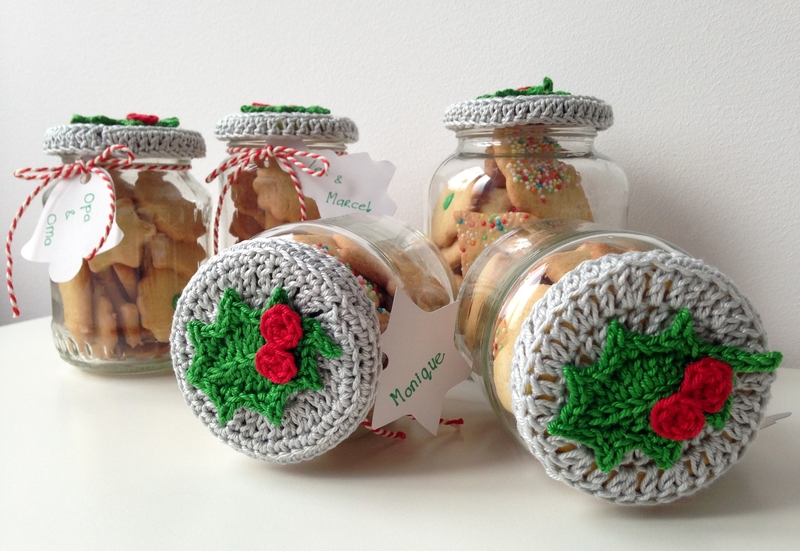 Maybe slightly overdoing things, I even made my own gift tags this year – using some of my cookie cutters to shape them. 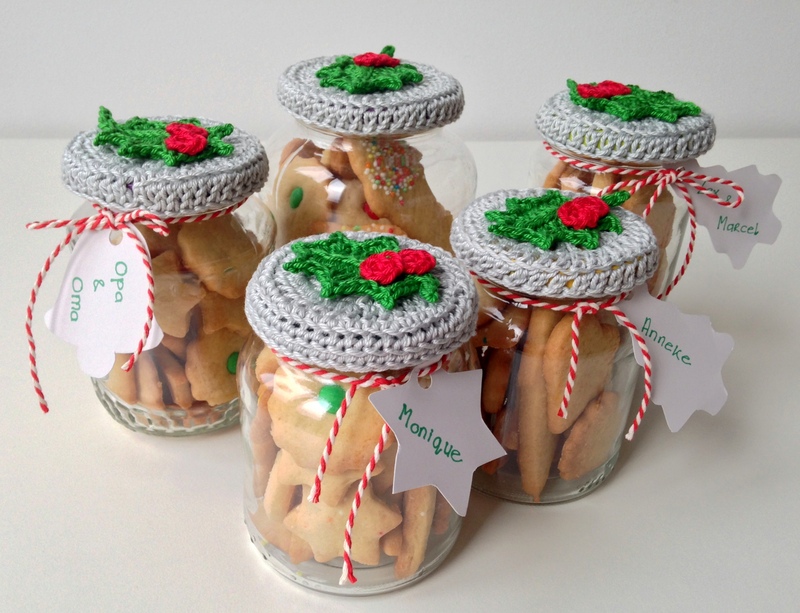 Now that all presents are gifted I can safely show you what I’ve been doing, so here’s a little round-up with links to patterns/recipes I used. 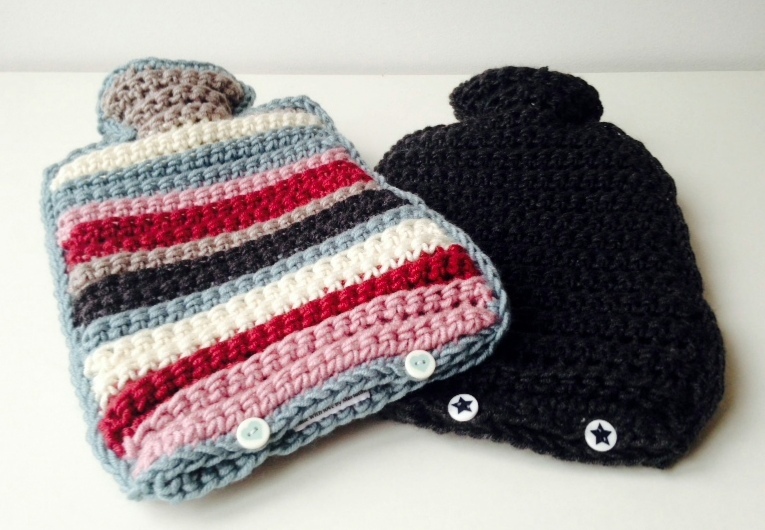 For my kids I made hot water bottle covers, using leftover yarn from the chevron blanket I crocheted earlier this year – no pattern, just following the outline of the hot water bottle (the hot water bottle cover granny style-diy can be found here). Since my mom owns the black Nordic Shawl I crocheted and my mother-in-law the blue/pink one, I decided to make them matching wrist warmers (link to My Rose Valley‘s paid pattern here). 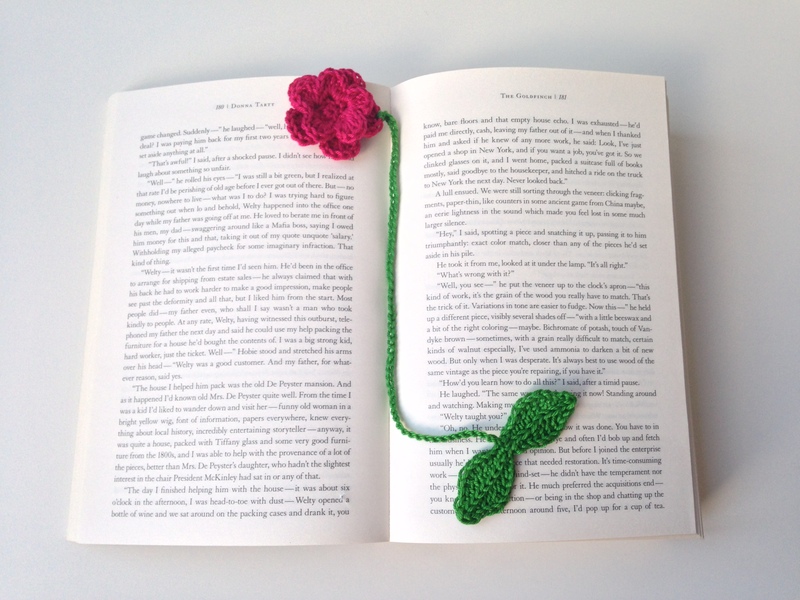 My father loves to read, so a bookmark was what I made for him – flower pattern here, for the leaves I used Lucy’s holly pattern, but crocheted no prickles. 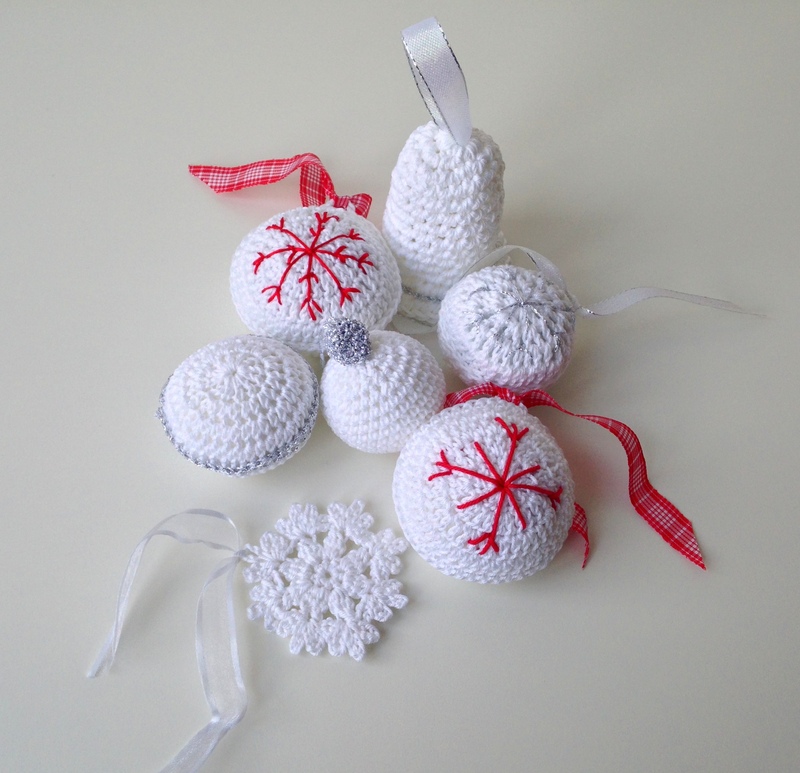 For my brothers, sister-in-law and friends across the ocean I crocheted Christmas balls and snowflakes – loved making them very much! 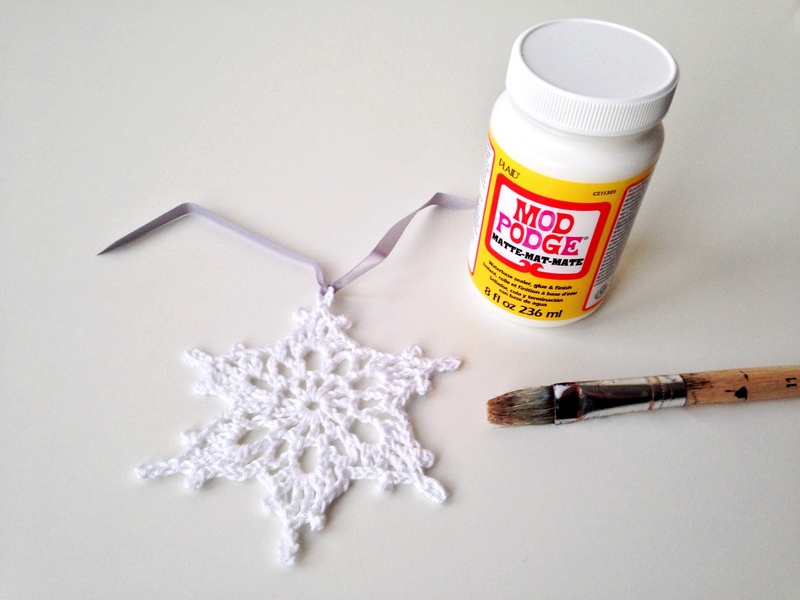 I stiffened some of the snowflakes with modpodge – worked great. 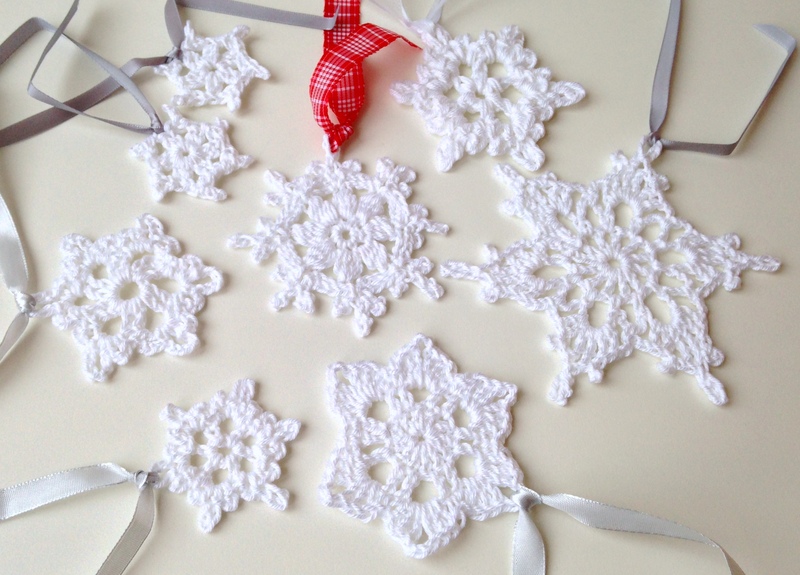 Patterns can be found on my “Christmas Crochet“-board on Pinterest. 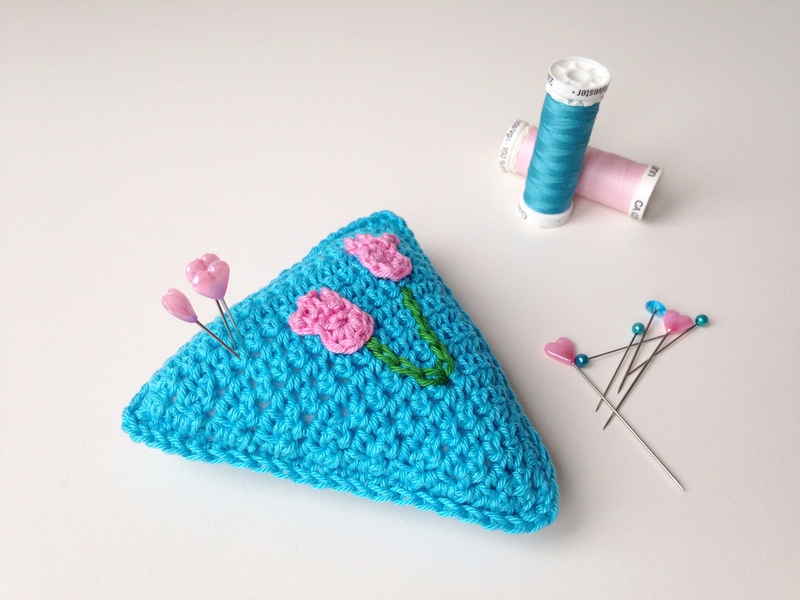 Another little gift that traveled quite the distance – all the way to a dear ig-friend in Australia – was this pincushion. 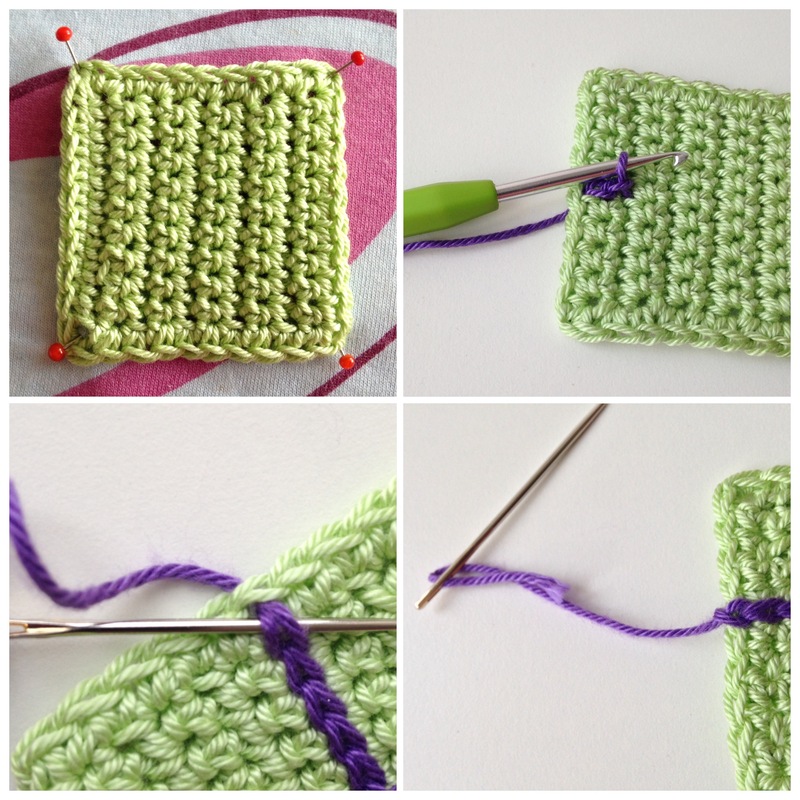 The tutorial for the basic pattern can be found here. 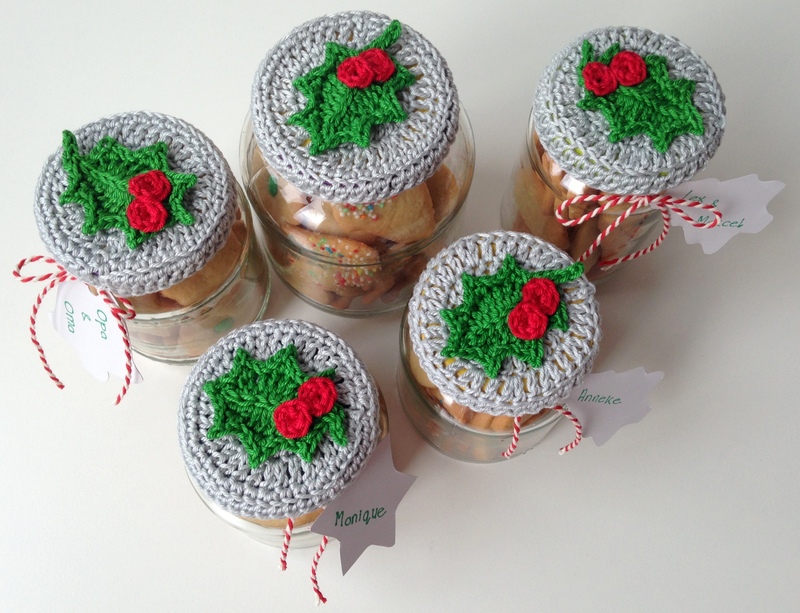 Since we have a tradition of baking Xmas cookies in our house, I made these jar lid covers for the containers that I planned on using this year – they turned out great and looked so festive! I just made them up as I went, but there’s a wealth of tutorials to be found here.The little holly leaves are the ones I’ve made before (links here and here), after Attic24’s diy, I just added the red berries …..
Other than baking cookies, I made these yummy pretzels (recipe here) and as place cards for our Christmas brunch I thought these chocolate candy cane hearts were just right (diy here). 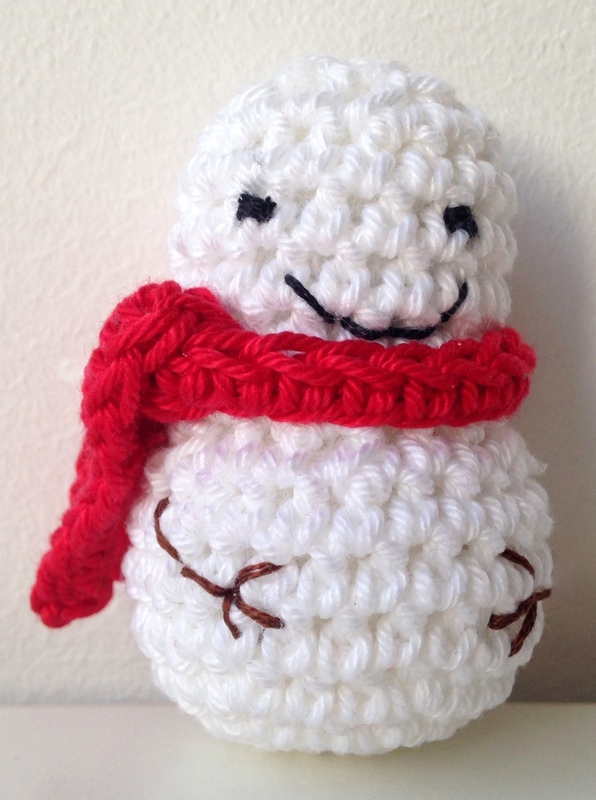 Just because I loved this little guy from the moment I laid eyes on him, I hád to make this very cute snowman, free pattern from the “Dapper Toad”-blog, link here. The only gift that I did not manage to finish in time, was a hat for my husband …… As you will understand, that one is high on the wip-list right now! These days in between Christmas and the New Year seem to have a slower pace and we’re quite enjoying these lazy days. 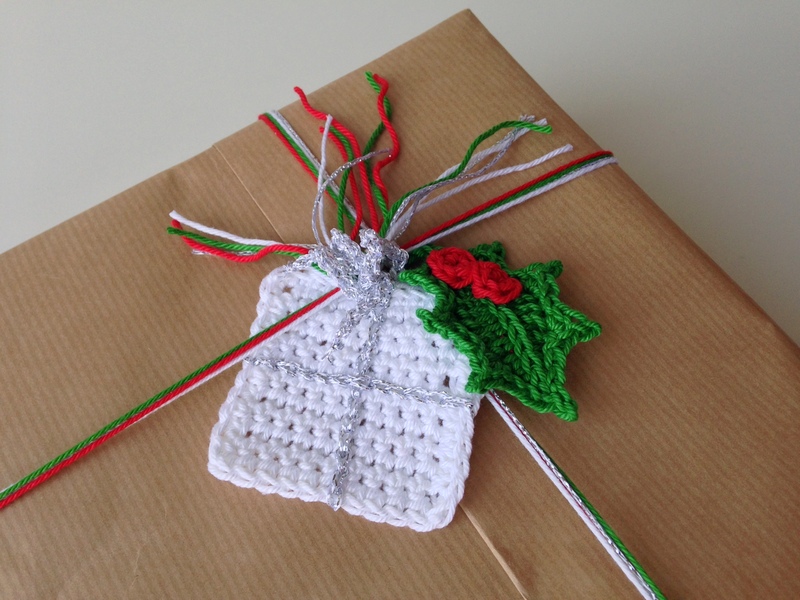 Some crochet, a little (sock) knitting, a nice book, some hot chocolate, a glass of wine, fire place going …. oh yes, I can get used to this! Wishing you the joy of calm days as well! 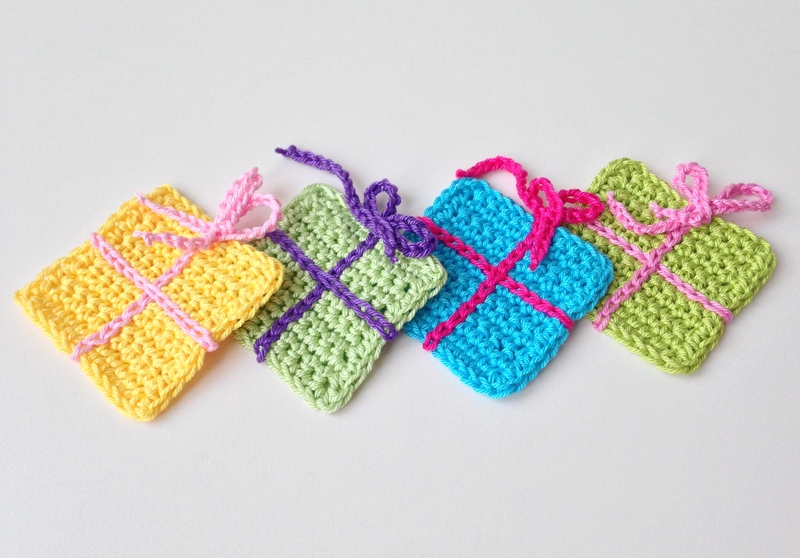 I have a confession to make …… I feel like a kid in a candy store when I prepare my “Treasury Tuesday”-post, picking out a topic for that particular week, browsing Etsy and finding THE most amazing crocheted items. Gearing up towards Christmas (only 29 more days ……) I decided to stick to the x-mas theme a little longer. 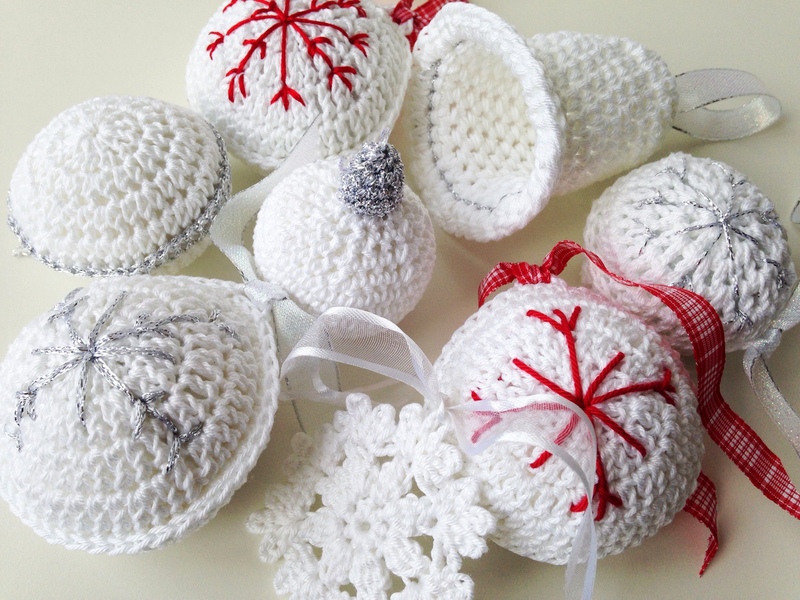 This week’s treasury is all about Christmas ornaments – and patterns only. I surely hope you’ll enjoy this Tuesday’s list as much as I am! 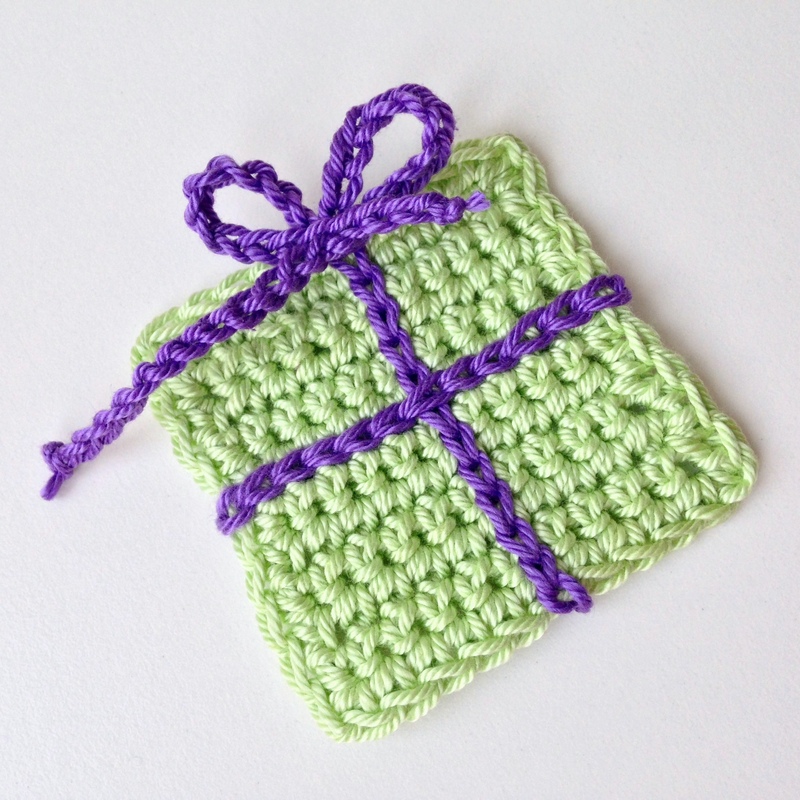 Last Friday night – while doing some very relaxing crochet – I suddenly had an idea for a little crocheted present and could not resist trying it out immediately. 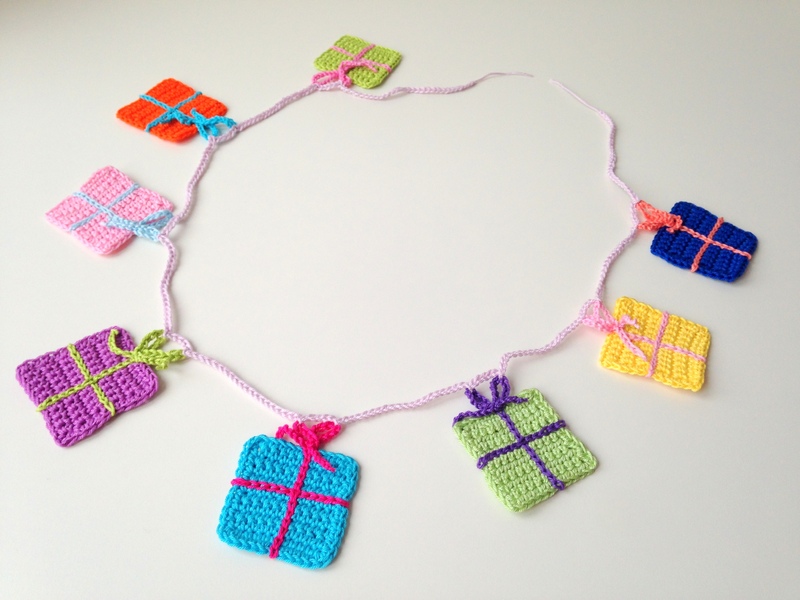 I’ve said it before: it’s so great to see one’s idea materialize in actual crochet and as far as I’m concerned in actual crochet cuteness! 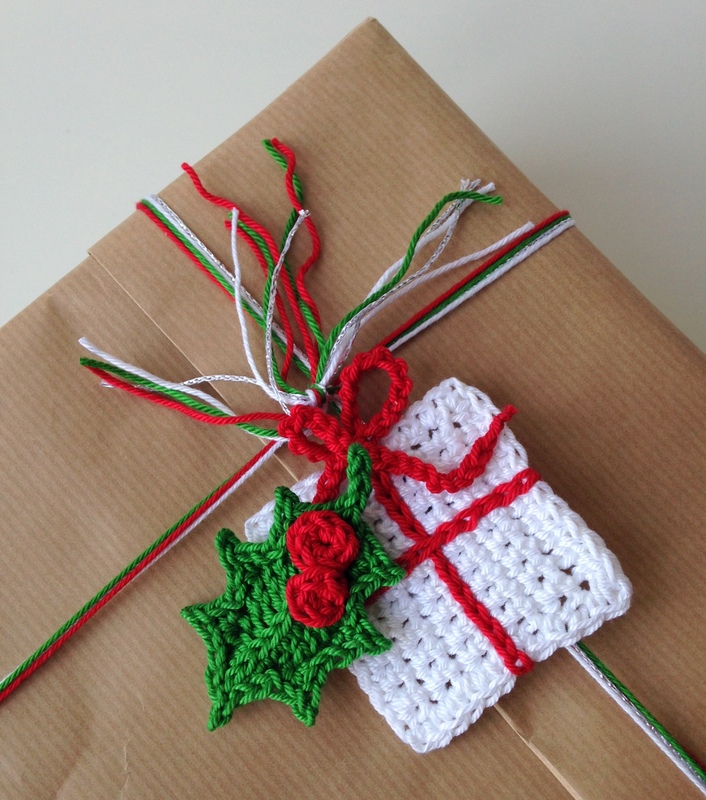 Given the response on Instagram, I thought I’d quickly share with you how I made my little crocheted presents and the fun things you can do with them. 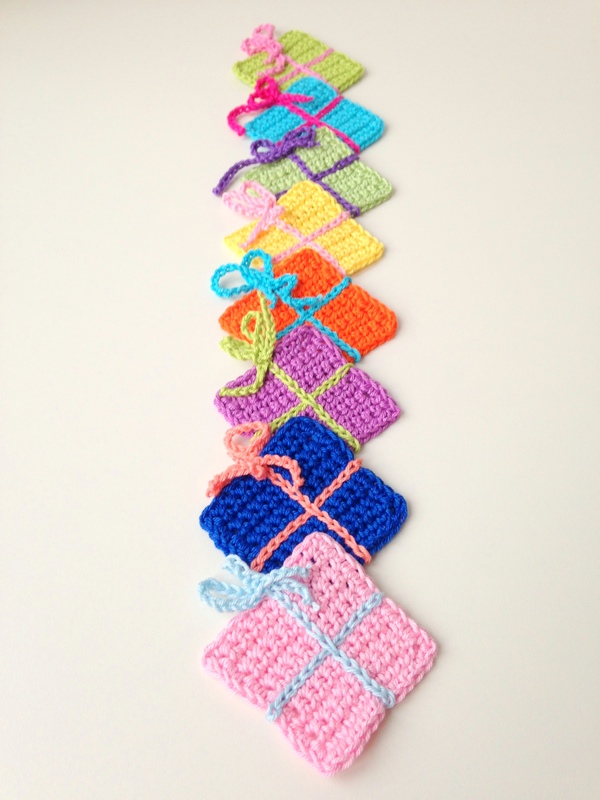 * make a bow with both crocheted chained ribbons, sew them onto the square with the tail of your second bow and: ta-dah! 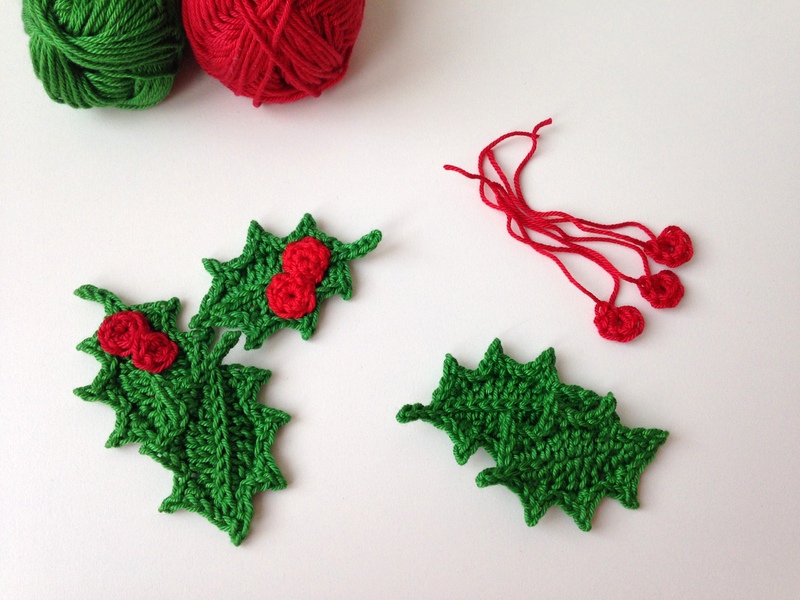 So far I’ve made a x-mas garland, mixing some presents with Lucy’s holly leaves that I had fun with last year too (here and here), used two present and holly leaves as tags on a – real – x-mas present and made another bunting of presents, all in happy colors! 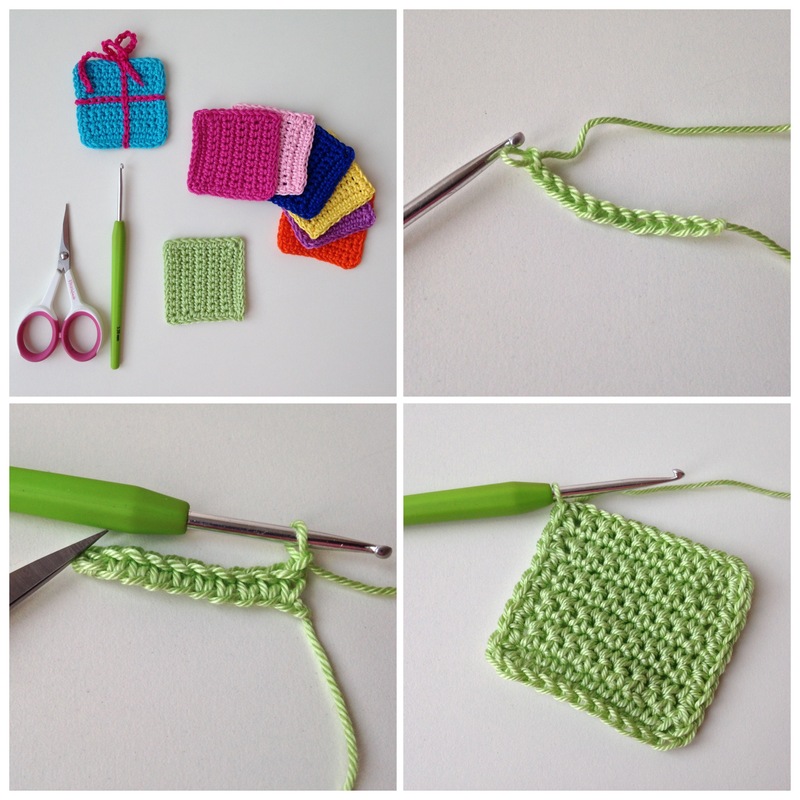 Lots of possibilities, lots of fun!